Fulton and Bray Sliding door lock. 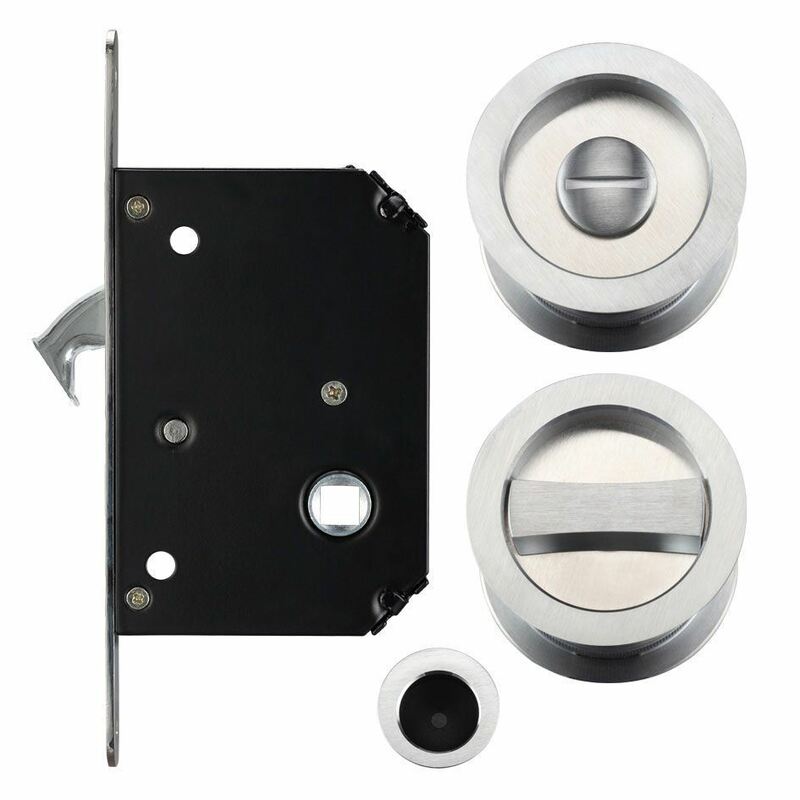 Complete lock set for sliding pocket doors. Available in a quality brushed satin chrome finish. Suitable for use in bathrooms and wet rooms, brass based components for a corrosion resitant finish. Fits all standard 35mm to 45mm deep UK doors. Supplied with 60mm diameter circular flush pull handles - the internal pull has an integrated thumb-turn to lock/unlock and the external pull has an emergency coin release system. Lock faceplate is 16mm wide x 160mm high with radius fore-ends in satin chrome finish. Hook lock is completely flush with the faceplate when unlocked. Satin chrome keep measures 18mm wide x 90mm high. 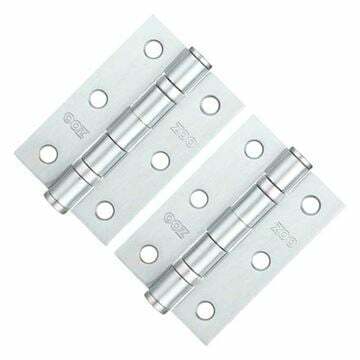 Kit also contains 30mm x 30mm recessed pull to be used on doors that are totally recessed when open. This is a quality, well engineered product that is completely flush when fitted. All fixings and parts supplied.